We're thrilled to welcome Katrina Leno, author of THE LOST AND FOUND, to the blog today as she speaks on fear, depression and how she pushes through. "There will ALWAYS be little nagging worries in the back in our minds. As humans, this is very normal. Maybe it’s even necessary? Because if I didn’t have that voice in the back of my head assuring me I’ll never write another creative word in my life, I might not be pushed to prove it wrong." I recently—about two weeks ago—finished a first draft of a manuscript I’ve been working on for five-ish months. Five months isn’t a long time at all. I know writers who take a year or more to complete the first draft of a project, and there’s nothing at all wrong with that. We all work at our own pace. But for me, five months felt like an eternity. I finished the first draft of my first book in three weeks (many ten, twelve hour writing days). Is that the last book you’ll ever write? Is that the worst book you’ve ever written? Wait—have all your other books been terrible? Why are you even doing ANYTHING? Part of this is my depression, sure, but I think it will also ring true for those with a perfect bill of mental health (wait—do those people actually exist?). There will ALWAYS be little nagging worries in the back in our minds. As humans, this is very normal. Maybe it’s even necessary? Because if I didn’t have that voice in the back of my head assuring me I’ll never write another creative word in my life, I might not be pushed to prove it wrong. So there it is, my worst fear when it comes to writing: that whatever pool of creativity is sloshing around inside my brain will dry up and leave me barren of anything resembling a good story idea. This fear is pronounced. Here I am, two weeks after finishing that first draft, and I still feel too drained and empty to attempt anything more than a few notes on a new idea. Most of my energy is still delegated toward worrying about whether this first draft is any good; I have no energy to spare for anything else other than the basic functions of life. Get up. Eat. Go for a walk. Feed cat. Do laundry. Take shower. Will I ever write another book? "So—how do I get past that? How do YOU get past that, if that’s also something you struggle with?" The answer will be different for everyone, but here are a few things that help me. To-do lists. Make them as boring and basic as possible. Write things down that will be easy to cross off. (Make the bed. Clean the bathroom. Eat breakfast. Go for a walk.) Mundane to-do lists may seem a little pointless, but every time I cross something off my list (be it a mental list or a physical list, I do both) I feel like I’ve accomplished something. Gradually, you can start adding bigger things to your list. (Write 500 words. Go for a run. Make a blog post.) Start small, then increase your workload a little bit more every day. Read. What better way to find inspiration for your own writing than to read or re-read good books? I never feel like I’m wasting time when I’m reading, because everything I ingest goes into my brain and swirls around and works to inspire or inform whatever I choose to write next. Air and sunshine. What an obvious thing, but especially working from home, it’s so easy to forget these basic things our body needs to stay happy and healthy. Sit near a window. Go for a walk. Spend an hour on your deck. Nothing clears my head like a little fresh air. "Lately I’ve been repeating something simple to myself: A first draft doesn’t have to be perfect, but it DOES have to be written. Again, seems so obvious, right? But I can get really hung up on IS THIS GOOD ENOUGH when in reality, it’s a first draft. It doesn’t HAVE to be good enough. It just has to be SOMETHING." A first draft doesn’t have to be perfect. It just has to be written. 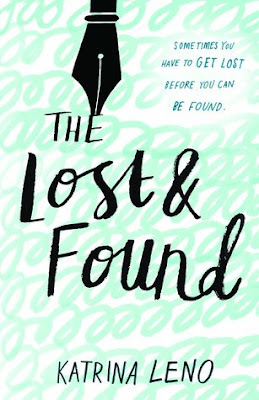 Katrina writes books for young adults, like THE HALF LIFE OF MOLLY PRICE and THE LOST AND FOUND, and hopefully a cool fourth book that she hasn't written yet but, (if all goes well!) it will come out Summer 2018! She is represented by Wendy Schmalz. 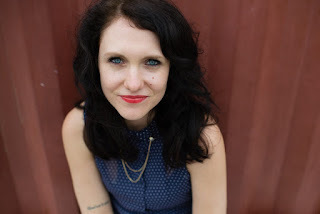 If you like writing and photography, take a peek at her blog. ooh, this sounds like a wonderful book! Sounds unique and fabulous! I look forward to reading it!